Posted on November 25, 2018 by gayle. 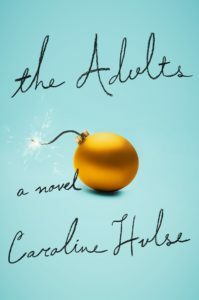 This entry was posted in Audiobooks, Fiction and tagged audiobook, caroline hulse, the adults. Bookmark the permalink. Pretty forgettable is not good. I swear I saw this book with a different cover last year. The description sounds similar. I am guessing it came out last year in England with a different cover?